The ultimate celebration of food and wine is around the corner, get ready to welcome the 21st annual Gourmet Food & Wine Expo at the Metro Toronto Convention Centre from November 19th to 22nd later this month! Explore wines, beers, spirits and gourmet foods around the globe as you sip and savour your way through over 1,500 selections across 140,000 square feet. The currency of the GFWE are sample tickets, these are available in sheets of 20 at $1 a ticket. Sample tickets are used to sample wine, spirits, beer and food throughout the Expo from vendors, with tickets varying from 1 to 6 depending on the vendor. Tutored Tastings Program, taste some of the world’s best wines while learning from top industry experts. The #TrendCentral Stage‘s interactive tastings sessions of cutting-edge wines, beers and spirits – each session is for 5 sample tickets each. Also, watch the showdown on Sunday for the #BestCaesar in town! 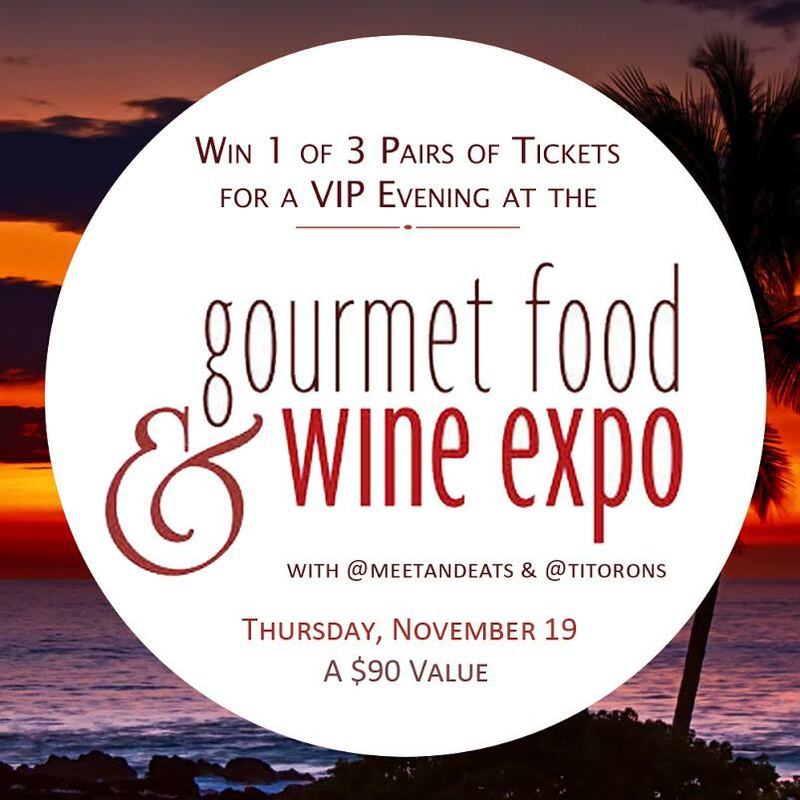 Thanks to Tito Ron’s – a vendor of GFWE – I am giving away 3 pairs of tickets to the VIP Evening for 3 lucky winners! 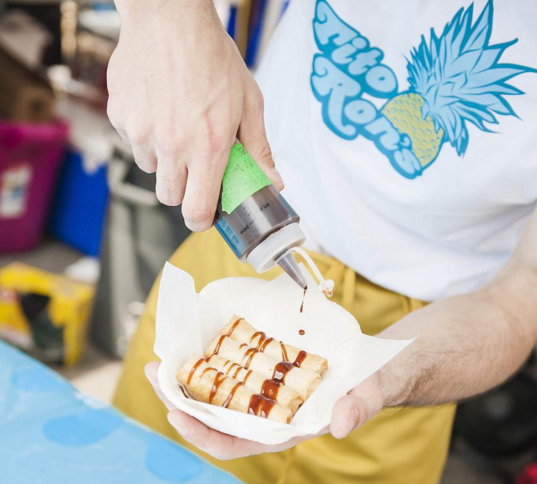 Tito Ron’s is a Filipino-Carribean caterer run by an enthusiastic duo with one mission: to reinvent Filipino food in Toronto, and their plate-ups are ones to try, I bet you’ve never had a jerk chicken lumpia before! Each ticket is worth $45, allowing guests to tour the Expo exclusively with other VIPs and celebrities, having a peek at the Gourmet Food & Wine Expo before it opens to the public. The three giveaways for the pair of VIP Evening GFWE tickets will be schedules for Friday 6th, Monday 9th and Thursday 12th this month, and each winner will be announced two subsequent days after. Open to Canadian residents only. End dates are Sunday 8th, Wednesday 11th and Friday 13th. Winner #1: Joane of @fitwicked, Congratulations!